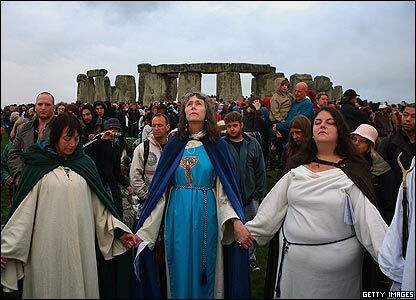 There are 8 basic mystical festivals that have been celebrated around the world for thousands of years. The names and specific dates may be modified in different cultures, and some of the rituals associated with them may differ – but the underlying theme stays the same. 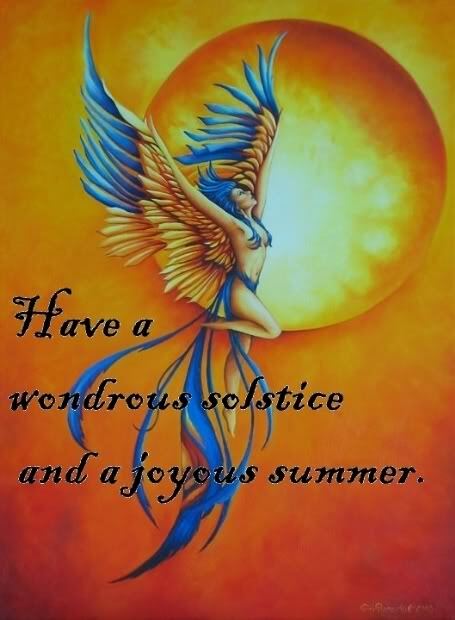 This year Litha , the Summer Solstice is on June 21st. 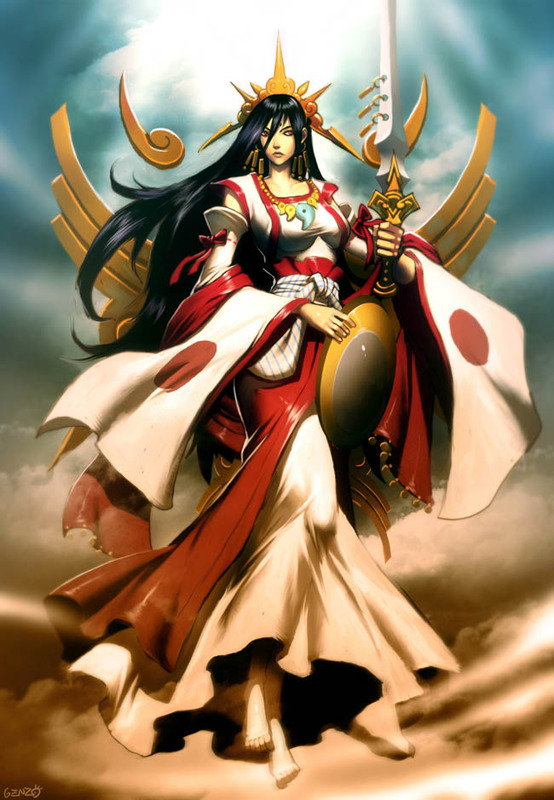 Amaterasu (Shinto): A solar goddess – sister of the moon and the storm god of Japan. She is known as the goddess “from which all light comes” and is much loved by her worshippers. Aten (Egypt): This god was at one point an aspect of Ra, but rather than being depicted as an anthropomorphic being (like most of the other ancient Egyptian gods), Aten was represented by the disc of the sun, with rays of light emanating outward. 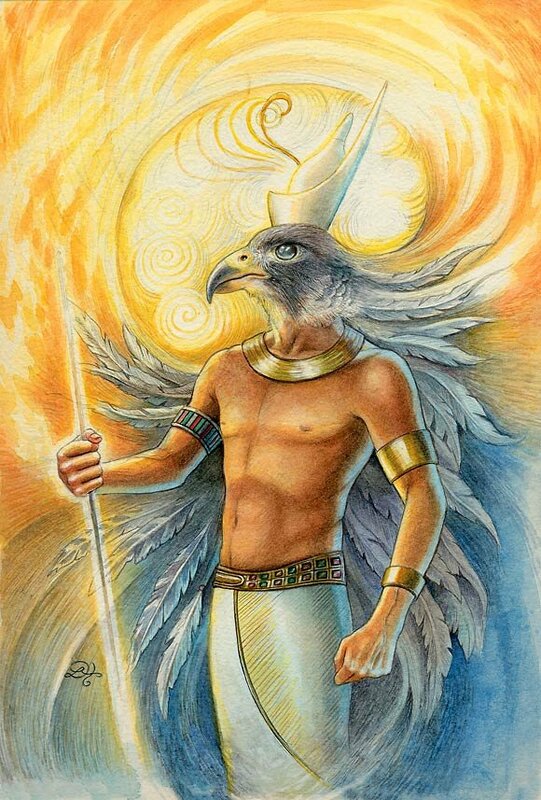 Horus (Egyptian): Another Egyptian solar deity, he was the child of Isis and Osiris and is often conceived of as a savior god who brings light to the soul. Apollo (Greek): The son of Zeus, King of the gods, by Leto, a mortal woman, Apollo was a multi-faceted god. In addition to being the god of the sun, he also presided over music, medicine and healing. He replaced the older god Helios, the titan that drove the sun chariot across the sky. As worship of him spread throughout the Roman Empire into the British Isles, he took on many of the aspects of the Celtic deities, and was seen as a god of the sun and of healing. 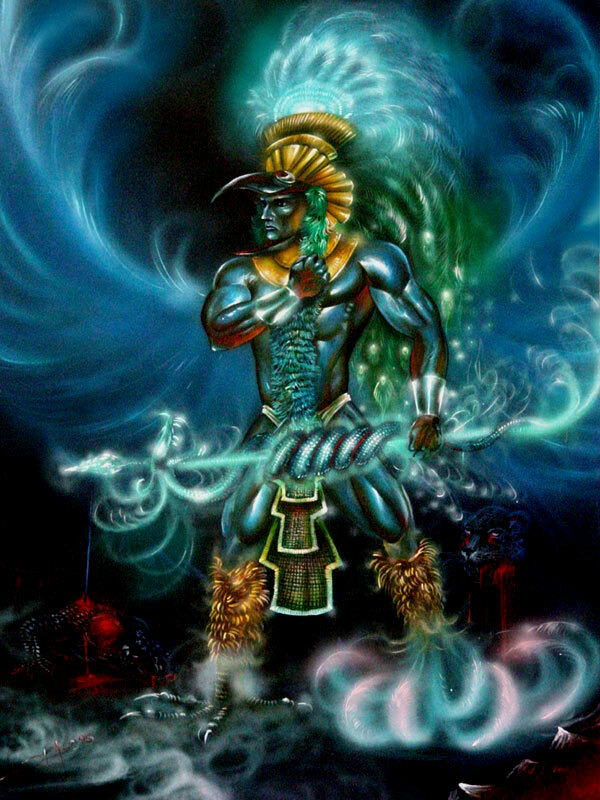 Huitzilopochtli (Aztec): This warrior god of the ancient Aztecs was a sun god and the patron of the city of Tenochtitlan. He battled with Nanahuatzin, an earlier solar god. 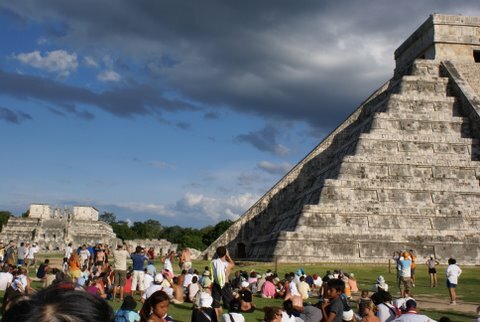 Huitzilopochtli fought against darkness, and required his worshipers to make regular sacrifices to ensure the sun’s survival over the next fifty-two years, which is a significant number in Mesoamerican myths. Sulis Minerva (Celtic, Roman): When the Romans occupied the British Isles, they took the aspects of the Celtic sun goddess, Sulis, and blended her with their own goddess of wisdom, Minerva. The resulting combination was Sulis Minerva, who watched over the hot springs and sacred waters in the town of Bath. 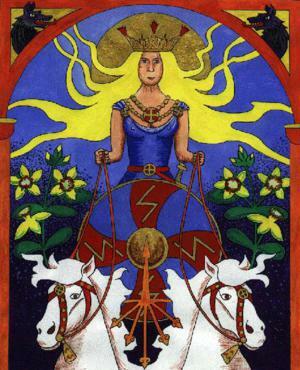 Sunna or Sol (Germanic): Little is known about this Norse goddess of the sun, but she appears in the poetic eddas as the sister of the moon god. Notice that in Greco-Roman and Egyptian myths the sun is male and the moon is female, but in many other cultures the sun is a feminine power. 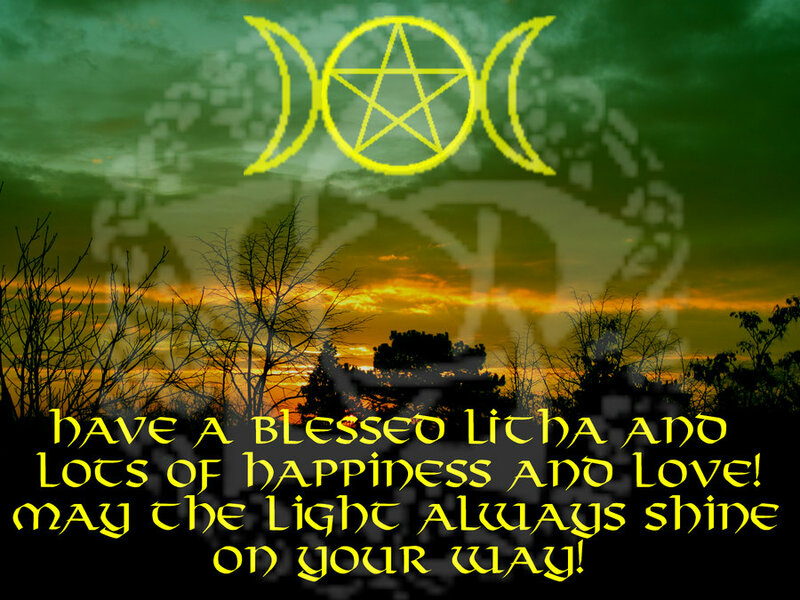 Depending on your individual spiritual path, there are many different ways you can celebrate Litha, but the focus is nearly always on celebrating the power of the sun – the symbol of the light of consciousness and spiritual awakening. Consider the sun at the height of its power, with all the Light and Energy of the cosmos flowing through it onto the people of Earth and use that power to help you achieve your destiny. Joyously take stock of your life and seek fulfillment – realigning with your goals and purpose. Consider getting a new job if you aren’t satisfied with your current one, or taking some training courses to help you overcome any obstacles that keep you from doing what you truly want to do. Upgrade your wardrobe, hairstyle or general appearance, and review your overall levels of fitness and health. You could also consider ways by which you can make others healthy – Perhaps get involved with the healing arts, or even with the ecology movement to help heal the world. the Egyptian and Mexican pyramids or even the growing New Age community in Sedona, Arizona. These places, along with many others, have wonderful Summer Solstice festivals to take part in. Throw a party with a bonfire. A bonfire is part of the tradition of the summer solstice. Fire has always been a source of protection for human beings, scaring off the creatures of the night, both ordinary and magical. Nowadays you can reinvent the bonfire as a great reason to hold a summer solstice party with friends. 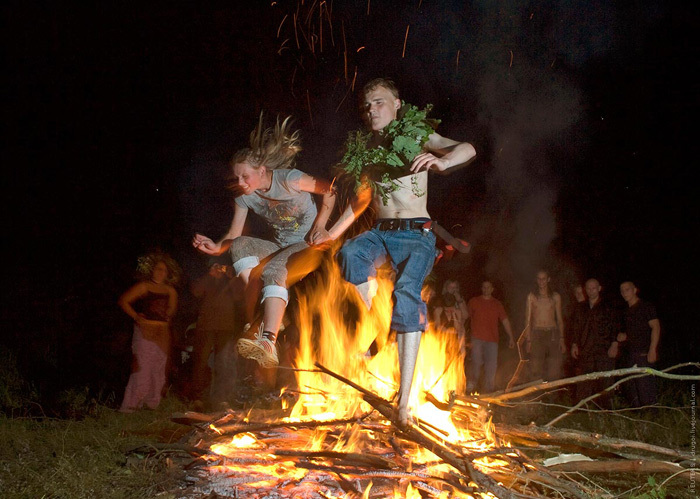 In England, rural villagers built a big bonfire on Midsummer’s Eve. This was called “setting the watch,” and it was known that the fire would keep evil spirits out of the town. Some farmers would light a fire on their land, and people would wander about, holding torches and lanterns, from one bonfire to another. If you jumped over a bonfire — presumably without lighting your pants on fire — you were guaranteed to have good luck for the coming year. Sunwheels were also used to celebrate Midsummer in some early Pagan cultures. A wheel — or sometimes a really big ball of straw — was lit on fire and rolled down a hill into a river. The burned remnants were taken to the local temple and put on display. In Wales, it was believed that if the fire went out before the wheel hit the water, a good crop was guaranteed for the season. 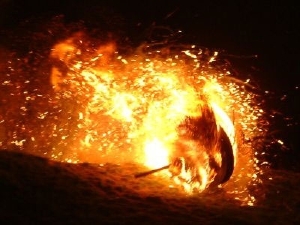 Residents of some areas of Ireland say that if you have something you wish to happen, you “give it to the pebble.” Carry a stone in your hand as you circle the Litha bonfire, and whisper your request to the stone — “heal my mother” or “help me be more courageous”, for example. After your third turn around the fire, toss the stone into the flames. If these suggestions are too adventurous or time consuming for you, you can always just sit outside and read a book -this is a simple but still highly appropriate way to get connected with the sun and nature. The important thing is to mark this day in some special way. Honor and appreciate the Sun for the all the blessings it bestows on the Earth and think past the mere physical body out in space to the spiritual aspects it represents. Take time to immerse yourself in the true Light, Life and Love of the Universe. 1 Pings/Trackbacks for "Litha – the Summer Solstice"